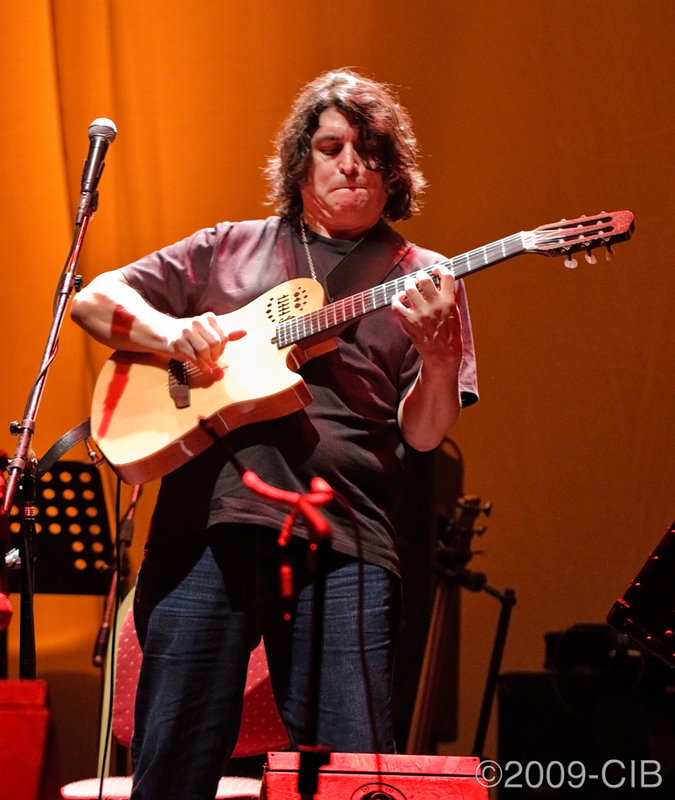 Argentinian guitarrist Luis Salinas and his band gave a concert at the Gran Rex theater in Buenos Aires on November 26, 2009, followed by Brazilian multi-instrumentalist and composer Hermeto Pascoal. Having taken distance from the Buenos Aires scene, Salinas was not in my radar. But I must say that I was very impressed about his musicianship, honesty and freshness. Technique does not get in the way for Salinas to convey the melodies and rhythms from his home country in an inspired jazz-folk fusion with solid support from a 5 men strong band of accomplished musicians. Not at easy with words, Salinas explained to the audience his affinities and admiration for the master Hermeto Pascoal, who appeared later in the evening with his own band including young wife Aline Morena in voice and percusssion. Technical problems and other unknown powers conspired to make Pascoal’s appearance a disappointment to fans and newcomers to his music. Pascoal band sounded like three different groups playing different music simultaneously. 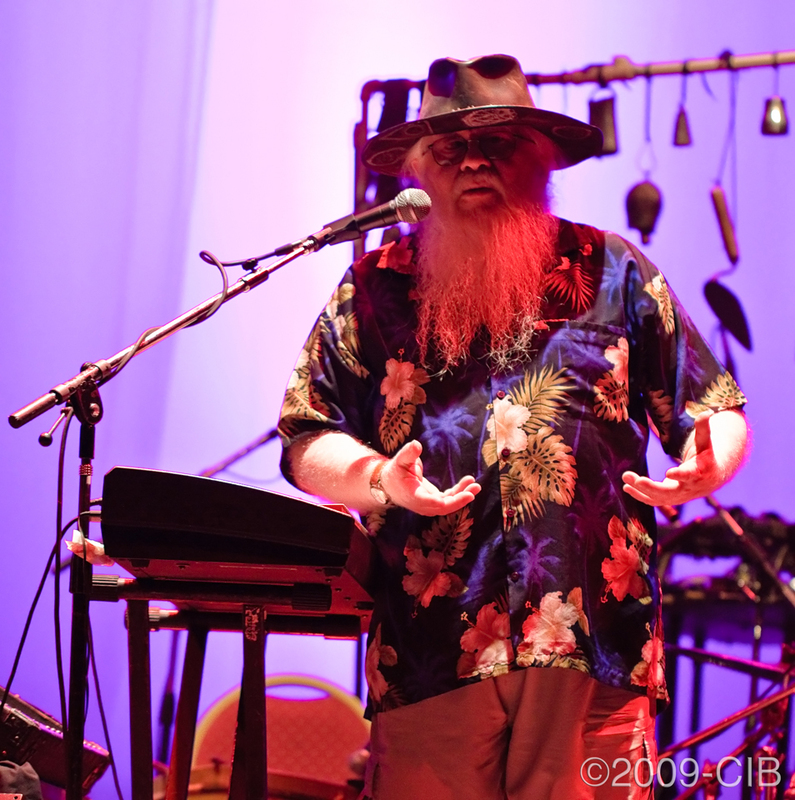 At one point early in the concert, Pascoal’s keyboard broke and band kept playing while support personnel tried (in vain) to repair the defective equipment in a lengthy process that took over half hour of the concert. As the broken keyboard was carried out of the scene, Pascoal used his hoe to hit it hard as a late revenge. Pascoal’s group did not sound coherent, despite their virtuosity. High pitched screams emanating from Morena’s throat did not help to convey the subtleties and complex polyphonic nature of Pascoal’s music. An impromptu between Salinas and Pascoal sounded like me and my high school mates getting together to jam on a late Sunday afternoon. Much of the material –drawn from Pascoal’s “Mundo Verde EsperanâˆšÃŸa” (2003)– was almost unrecognizable. Having seen Pascoal live previously, I must say that this was definietly not one of his strongest performances. Photographically speaking, I think the date was more profitable for me. We had good sits and the EOS 7D shined alongside EF 100mm 2.8 L Macro doubling as telephoto lens on this occassion. Thanks to the changing lighting, I got a very nice collection of images with different textures and colors capturing the entire conert. Some of these can be viewed under the photo gallery from the left side bar.